Entry: To qualify for the makeover contest by RK Dixon, the official entry form (maximum one entry per organization) must be completed. You will be asked to provide a contact’s first and last name, email address, the address and telephone number of the organization, a list of communities served, number of employees and volunteers, size of the organization, mission, logo, definition of need, a statement of why the organization deserves the makeover, proof of 501(c)(3) status and a list of what would make the office run better. All fields must be completed for eligibility and verifiable proof of 501(c)(3) status must be provided to RK Dixon at any time during the contest. For the purposes of this contest, any non-profit with annual revenue of $250,000 or more will be considered a “large” non-profit. 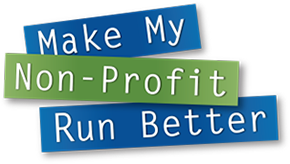 Any non-profit with annual revenue less than $250,000 will be considered a “small” non-profit. The contest begins August 21, 2018 and ends October 4, 2018. Online entries must be submitted by 5 p.m. on September 13, 2018. Entrants must be over the age of 18 and agree to be contacted by RK Dixon via email about voting instructions and winner information. The organization’s name, statement of need and embedded YouTube video will be posted online at rkdixon.com and/or mmnprb.com, but all other contestant information will be used solely by RK Dixon. No contestant or voter information will be sold, shared or given away. RK Dixon has the right to decline any entry for any reason. Selection: A total of 10 finalists (5 per “large” and “small” non-profit categories) will be identified on September 20 based on open online voting. Online voting will take place from September 14 at 8 a.m. – September 20 at 5 p.m. Voters may only submit one vote per day per category per email address. The 10 finalists will be narrowed down to four (two in the large category and two in the small category) by October 4 through a second round of online voting. The second round of online voting will take place September 28 at 8 a.m. – October 4 at 5 p.m. RK Dixon will identify one winner in each category and announce the names of the winning organizations on October 11, 2018. Prize: RK Dixon will assess the needs of the winning organizations based on their award level. The first-place “large” organization will receive an office technology makeover valued at up to $30,000 (MSRP). The first-place “small” organization will receive an office technology makeover valued at up to $15,000 (MSRP). No more than 50 percent of the $30,000 and $15,000 office technology makeovers may be allocated towards IT solutions. Within those IT allocations, a maximum of 50 percent of the IT solutions prize value can be applied to IT products; the remaining balance will be provided as IT professional services. The second-place winner in the “large” category will receive an equipment package prize valued at up to $10,000 (MSRP). The second-place winner in the “small” category will receive an equipment package prize valued at up to $5,000 (MSRP). The second-place equipment package prizes do not include IT solutions. Eligibility: The contest is offered only to 501(c)(3) “charitable” organizations in Jackson, Clinton, Scott, Muscatine, Louisa, Des Moines and Henry counties in Iowa and Jo Daviess, Carroll, Whiteside, Rock Island, Henry, Bureau, Mercer, Henderson, Warren and Knox counties in Illinois. It is open to organizations with a business location and only to legal residents of the United States who are 18 years or older at the time of entry. Home-based non-profit organizations are not eligible. Employees or representatives of RK Dixon and their advertising agencies, including their immediate families, are not eligible to enter. RK Dixon will not be responsible for late, misdirected or lost entries or for any computer, online, telephone or technical malfunctions that may occur. The authorized account holder of the email address and the entrant must be the same person. Authorized account holder is defined as the natural person who is assigned to an email address by an Internet access provider, online service provider or other organization (e.g., business, educational institution, etc.) that is responsible for assigning email addresses for the domain associated with the submitted email address. All entries become the property of RK Dixon and will not be returned to entrant. Potential winner may be requested to provide proof that the potential winner is the authorized account holder of the email address associated with the winning entry. Winner Selection: A total of 10 finalists (five from each category) will be determined by the public via online voting at rkdixon.com and/or mmnprb.com. After the 10 finalists are selected, all votes will be cleared and the public will again be invited to vote for their favorite finalist. These votes will determine the top two winning organizations in the large and small categories. RK Dixon’s decision will be based on criteria for selection including the original submitted entry. The winner will be notified either in-person or by email, phone and/or mail within 10 days of selection. If winner is unreachable after 10 days, or if winner is unavailable for prize fulfillment, an alternate winner will be selected from the remaining finalists. In addition, all potential winners must execute and return an Affidavit of Eligibility form within 10 days of notification via mail and/or facsimile. Noncompliance within this time period will result in disqualification and an alternate winner will be selected. RK Dixon will provide winner with a voucher or certificate within 30 days of winning with prize indicating the winner’s unconditional right to receive the prize. Decision of RK Dixon is final. Odds of winning depend on number of eligible entries received. Accepting Prizes: The winning organizations consent to use of its name, city, state, photographs and personnel voices for editorial, advertising, promotional and publicity purposes without further compensation except where prohibited by law. Winner agrees to release, discharge and hold harmless RK Dixon, as well as all media outlets, from all claims or damages arising out of the acceptance, use, misuse or the possession of the prize received. General Conditions: Entrants agree to abide by the terms of these Official Rules and by the selection of RK Dixon, which is final on all matters pertaining to the contest. This contest is governed by the laws of the United States and is void where restricted or prohibited by law. All federal, state and local laws and regulations apply. All taxes, fees and surcharges on prizes are the sole responsibility of the prize winner. Return of any prize/prize notification as undeliverable will result in disqualification and selection of an alternate winner. Use of Name: Entrants further grant to RK Dixon the right to use the organization’s name, city and state online and in print or any other media, in connection with the contest. Acceptance of a prize constitutes permission for RK Dixon and its advertising and promotional agencies to use winning organizations’ names and likenesses for advertising and promotional purposes without additional compensation unless prohibited by law. By entering, participants release and hold harmless RK Dixon, subsidiaries, affiliates, directors, officers, employees and agents from any and all liability for any injuries, loss or damage of any kind arising from or in connection with the contest or any prize won. Restrictions, conditions and limitations apply. Conduct: By entering this contest, participants agree to be bound by these Official Rules. The Official Rules will be posted at rkdixon.com and/or mmnprb.com throughout the contest. Entrants further agree to be bound by the decisions of RK Dixon that shall be final and binding in all respects. RK Dixon reserves the right at their sole discretion to disqualify any individual or organization it finds to be tampering with the voting process or the operation of the contest or website; to be acting in violation of the Official Rules; to be acting in an unsportsmanlike or disruptive manner, or with intent to annoy, abuse, threaten or harass any other person. CAUTION: ANY ATTEMPT BY AN ENTRANT OR ANY OTHER INDIVIDUAL TO DELIBERATELY DAMAGE ANY WEBSITE OR UNDERMINE THE LEGITIMATE OPERATION OF THE CONTEST IS A VIOLATION OF CRIMINAL AND CIVIL LAWS. SHOULD SUCH AN ATTEMPT BE MADE, RK DIXON RESERVES THE RIGHT TO SEEK DAMAGES FROM ANY SUCH CONTESTANT TO THE FULLEST EXTENT PERMITTED BY LAW. Limitations of Liability: RK Dixon is not responsible for any incorrect or inaccurate information, whether caused by website users or by any of the equipment or programming associated with or utilized in the contest or by any technical or human error which may occur in the processing of submission in the contest. RK Dixon assumes no responsibility for any error, omission, interruption, deletion, defect, delay in operation or transmission, communications line failure, theft or destruction or unauthorized access to, or alteration of entries. RK Dixon is not responsible for any problems or technical malfunction of any telephone network or lines, computer online systems, servers or providers, computer equipment, software, failure of email or entrants on account of technical problems or traffic congestion on the Internet or at any website or combination thereof, including injury or damage to participants or to any person’s computer related to or resulting from participating or downloading materials in this contest. If, for any reason, the contest is not capable of running as planned, including infection by computer virus, bugs, tampering, unauthorized intervention, fraud, technical failures, or any other causes beyond the control of RK Dixon, which corrupt or affect the administration, security, fairness, integrity or proper conduct of this contest, RK Dixon reserves the right at their sole discretion to cancel, terminate, modify or suspend the contest. Winners’ Names: For the names of the finalists and subsequent winners, visit rkdixon.com and/or mmnprb.com.